Every time I come across the phrase ‘social listening’ I imagine lots and lots of users singing together Adele’s song ‘Hello’. Hello, it’s me / I was wondering if after all these years you’d like to meet!? Well, yes! Smart brands want to meet their audience, want to listen to it and know it better in order to offer the best experiences, services, and products. There’s no easy way to do this though. No one will come and hand you what you need to know about what happens online related to your brand every single morning. The good thing is that even though that’s no easy job, it can be made easier with the help of some tools. 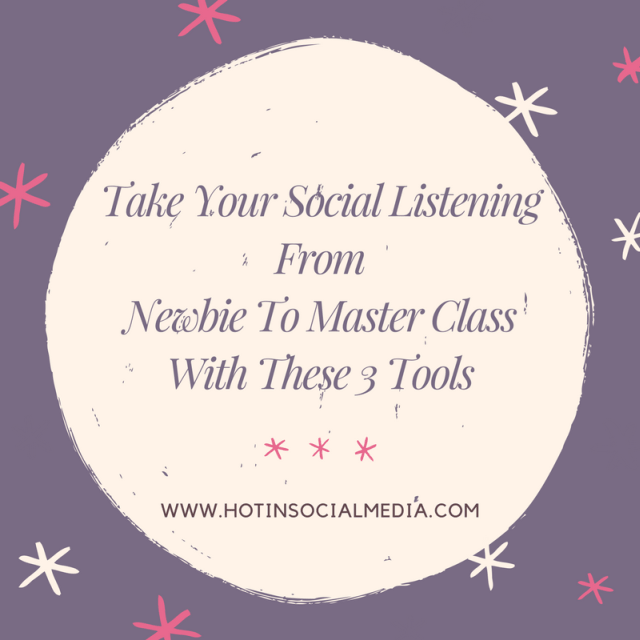 Before getting into these 3 tools, let’s see what social listening from newbie to master class actually means. This ongoing process of tracking online conversations is meant to find information about URL’s, hashtags, keywords and other terms that are related to the brand. What’s even more important than getting to the information that is on the internet, is leveraging it in order to discover opportunities or to create content for audiences. Why is social listening important? Well, let’s take a look at Twitter for example. This social network has approximately 6,000 tweets sent per second, which corresponds to over 350,000 tweets sent per minute and over 500 million tweets per day. Did you know that 30% of tweets that include the company name, don’t include the handle? Which means you actually don’t find out about a large chunk of conversations about you. Wouldn’t it be a shame if you put so much effort into identifying your audience and people talking about you but leaving out potential important conversations? Social listening helps you get into contact with people that have something to say about you. Imagine them knocking on your door and you invite them for a talk! 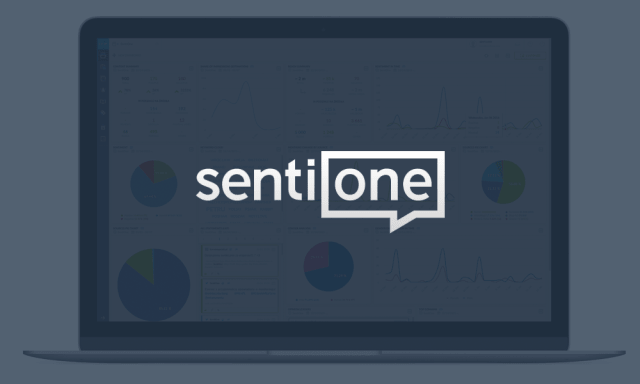 The first tool we’re going to talk about is Sentione. Social listening – Deliver consistent results in 24 languages using sophisticated technology. It has a clean dashboard which fastens the productivity and workflow. One of their most powerful characteristics is that they are constantly monitoring whatever happens on the Internet and it displays the results as soon as they appear in order for you to be able to take direct actions. In the era of internet trolls, answering fast to discredited and negative comments is a must, so by using Sentione you’re making sure you’re the first to know what people say about your brand on any social network from Facebook to Pinterest and from Twitter to Instagram! For us, collaboration is kind of a big thing, so its feature that allows us to have work easier together is great for the mood of our team. Social Media has given people the chance of voicing their opinions and experiences on brands and people and Hootsuite Insights is perfect for combining social listening, monitoring and analytics altogether. Track influencers, find trends, stories, get into conversations and visualize metrics – what could you want more? 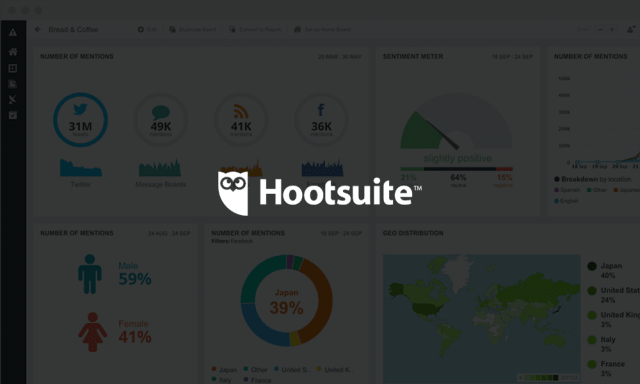 Hootsuite Insights works much like Google. Your first step is creating a search stream defined by search parameters. You enter your term and work around the stream to configure your results. In the end, you get exactly what you need. This process feels much like creating a salad from your favorite ingredients! Unlike most networks, Instagram doesn’t offer a well put analytics platform. That’s why we need to find another tool that help us understand what resonates with our audiences on Instagram! One of these tools is Iconosquare and it’s Heaven on Earth for marketers that need to get data out of Instagram! It allows you to easily track important metrics like follower growth and losses or best times to post for a maximum engagement. What I also like is that it shows your best performing content, both in terms of comments and likes. Its search feature, which allows you to dig in the millions of posts on Instagram has a precision filter meant to help you focus on clear-cut content. And let’s not forget about the influencer search, which can be based on latest media, location, the number of followers, hashtags they used and so on and so forth. If this isn’t taking social listening to another level, I don’t know what is! During research for this article, I found a very relevant quote from Neal Schaffer and I want to share it with you. Many times, when monitoring and interacting with our audience, we forget that people on the internet are human beings just like they sometimes forget that we’re not bots! Take into consideration people’s tone of voice and why they’re talking about your brand and make sure that any negative experience is changed into a positive one! See also: How To Choose The Best Social Media Tools?